5:11 AM food supplement, health and fitness, home and family, medicines, unilab, unilab products. It's rainy season and one must protect themselves by being ready at all times to avoid coughs, colds, and fever. 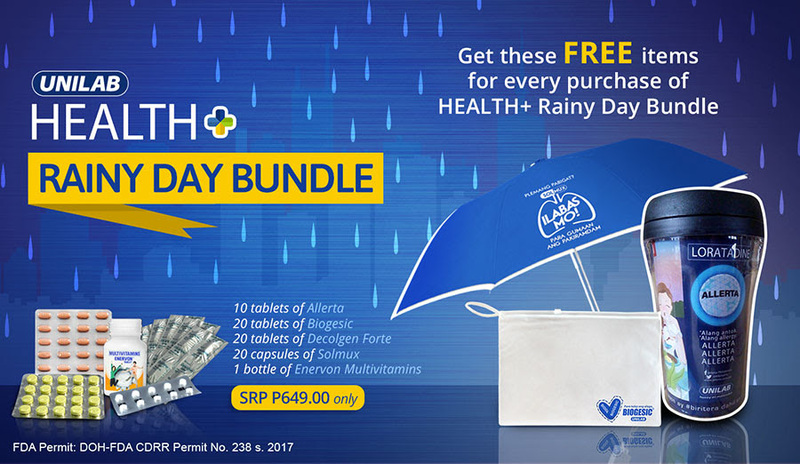 Good thing Unilab offer medicines and supplements in a bundle with free items. How good is that? 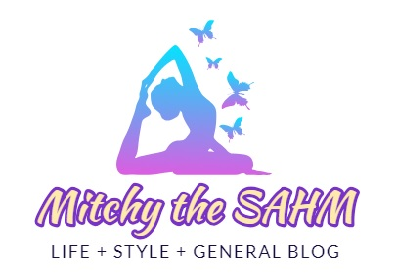 Get these FREE items for every purchase of Health+ Rainy Day Bundle! Avail of our Buy 1 Take 1 Free promo today! 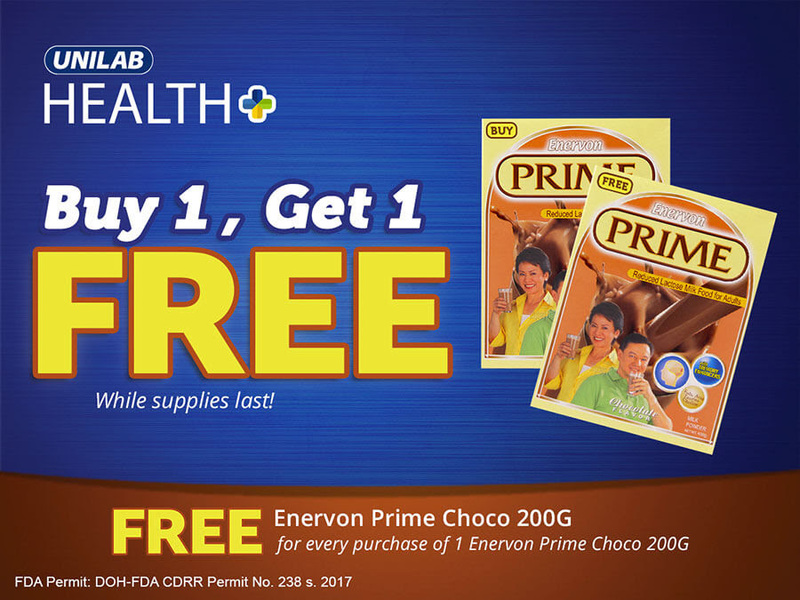 Get a free Enervon Prime Choco 200g for every purchase of 1 Enervon Prime Choco 200g. 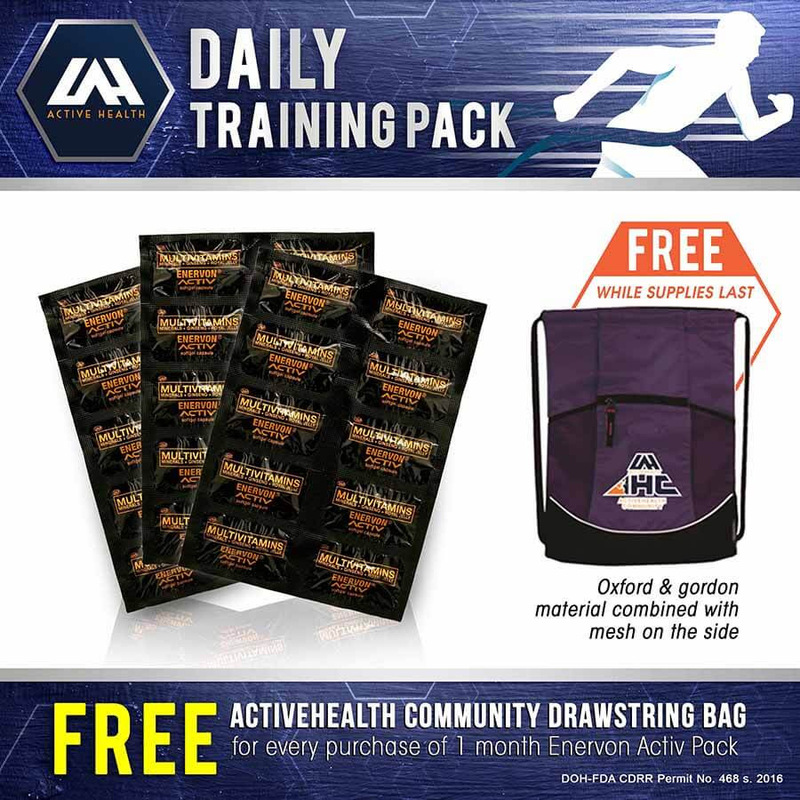 Take advantage of our promo and get a free AHC drawstring bag! Click on the link below to avail of the promo! Grab your Revicon Forte bundle now! 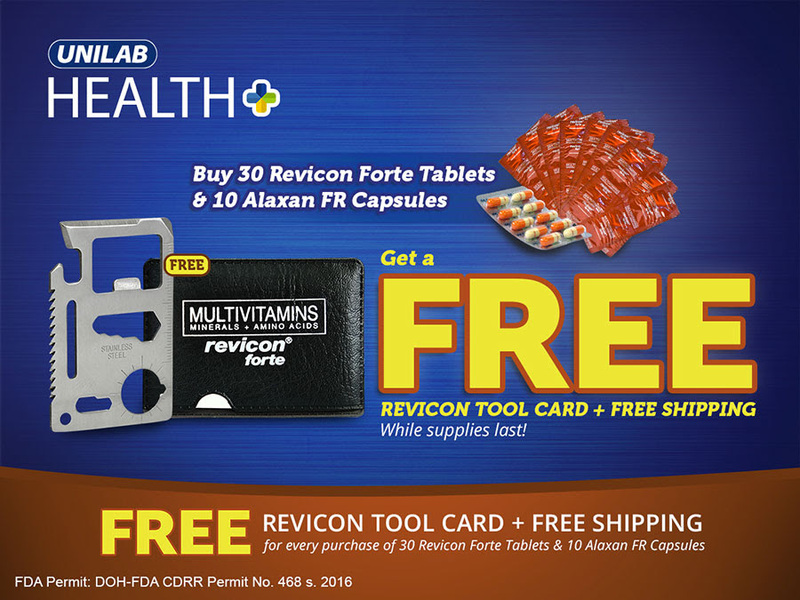 Get free items plus Free Shipping for every purchase of 30 pieces Revicon Tablet and 10 pieces Alaxan FR Capsules! Mga etiketa: food supplement, health and fitness, home and family, medicines, unilab, unilab products.